Dave Grohl of the Foo Fighters was the official ambassador of Record Store Day 2015. His contribution to the list of limited edition vinyl-only releases from that day was a four-song, 10-inch Foo Fighters EP titled Songs From The Laundry Room. It contained four early rough demos that Grohl recorded solo in the early '90's, while he was still the drummer for Nirvana. Although it is officially a Foo Fighters title, Grohl played all of the instruments on the four tracks. The slightly goofy background vocals heard on "Kids In America" were provided by Barrett Jones, who also recorded and mixed the EP. Grohl says that these songs were the seeds that led to the formation of the Foo Fighters. On Record Store Day 2015, Garbage released a 10-inch single (pressed in fluorescent orange vinyl) recorded in collaboration with Brian Aubert, the lead singer of Silversun Pickups. This follows a Record Store Day tradition for Garbage, who collaborated with Brody Dalle for another 10-inch single last year. Eric Avery (the original Jane’s Addiction bassist) is credited with bass, as he was on last year’s single. It sounds as though both sides of the record are intentionally distorted in spots to simulate the surface noise of scratched vinyl. The single is a decent collectible item for fans of Garbage. It looks like Record Store Day isn't just for vinyl records. 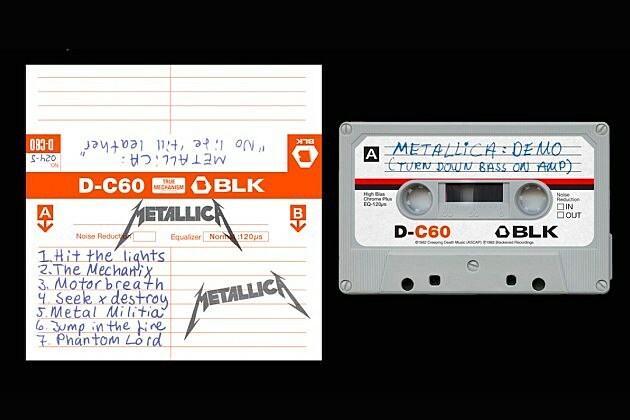 Some people are evidently nostalgic for the days of pre-recorded audio cassettes, as well, and a few artists have released limited edition items in that format for Record Store Day. I can understand the appeal, especially for anyone who grew up using that medium the way I grew up using vinyl. But I doubt that cassettes will enjoy the same type of resurgence that vinyl has enjoyed in recent years. They certainly served purposes in their day, but in my view, pre-recorded cassettes were the least exciting and least technically convenient way to collect and listen to music. This week I received the 23rd set of exclusive vinyl items offered to platinum members of Third Man Records’ Vault service. For those who are unaware, Third Man Records is the label owned by Jack White, who is the leader of the White Stripes, the Raconteurs, and the Dead Weather, and is now a solo artist as well. The Vault service promises to deliver exclusive vinyl-only records (one full-length album and one 7” single) to its platinum members every three months. According to the postal service, my package was sent on March 28th. I received it on the 30th.